Chocolate Pudding - Get the Good Stuff! Every so often, you need to make something smooth and wonderful. When someone is ill, sad, or just needs pampering, turn to old-fashioned comfort food. My hubby’s visit to the dentist spurred me to make something that would be easy for him to eat tonight. My choice? Chocolate pudding. 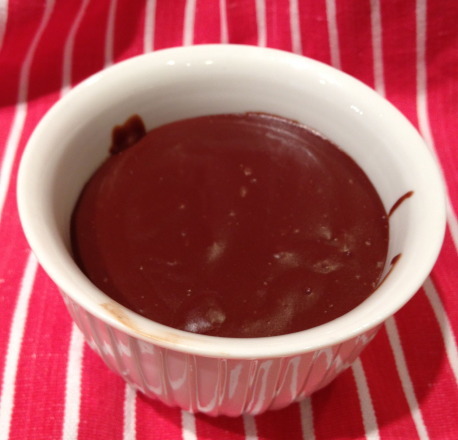 A wonderful silky smooth and deeply flavorful chocolate pudding. Combine the cornstarch, sugar, and salt in a saucepan, and whisk it together. Gradually add about 3/4 c of the milk, whisking until smooth, then add in the rest of the milk and cream. Add the chopped chocolate, then put the saucepan over medium heat, and bring it to a boil, stirring constantly. If any lumps form, whisk vigorously! Boil for one minute; the mixture will thicken considerably. Remove from the heat, and stir in the vanilla. Surprise Award! « Get the Good Stuff!